While 1976 was comfortably into the cassette era, the medium you used when consuming your taste in music was still a two-sided affair, something that delivered possibilities you don’t get with the everything on one side CD or the carry your music collection in your pocket MP3 device. The need to turn the item in question over to continue listening delivered some interesting possibilities when it came to sequencing content. The mid-seventies, with the artistic torpor that had settled in after the heady days of the late sixties when, literally, anything was possible was a prime time for revisiting the artist’s roots, often, in the cynic’s view of things, because the artist didn’t have enough new material that was good enough to stack up into a viable recording project. You can cite any number of examples, from Bowie’s Pin-Ups, to Bryan Ferry’s solo works, The Band’s Moondog Matinee and John Lennon’s Rock & Roll, and there have been any number of similar efforts over the past forty years but Faithful takes the task of replicating your influences a step further than most, matching a side of almost perfect recreations of '60s classics with a side of new material that’s obviously influenced by the other side but is also the product of another decade’s worth of experience. Of course, there’s also a fair degree of exhibitionist behaviour in there as well, what with the look ma, see how close I can get to original masterpieces, aren’t I a clever boy? factor that you suspect was lurking below the surface. 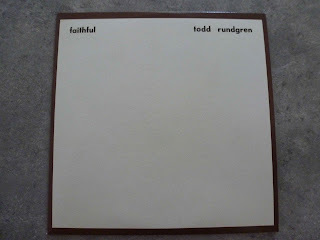 Rundgren, one notes, originally shot to prominence as a studio whiz-kid who could also write and play a bit. So, setting out with the intention to deliver faithful reproductions that amount to replicas of the originals, your mileage is going to vary in accordance with your inbuilt why bother? factor. Most of the replicas would have coincided nicely with the origins of Rundgren’s early band, The Nazz, and the Yardbirds’ Happenings Ten Years Time Ago or The Beatles’ Rain would quite possibly have turned up in the Anglophile outfit’s very early set-lists. Those renditions would have been pretty standard fare for Stateside garage bands with Anglophile tendencies, and given his status as the jingle jangle voice of his generation it’s no surprise to find Dylan’s Most Likely You Go Your Way (And I'll Go Mine) finding its way into the mix, though it mightn’t have been one of the most obvious suspects. On the same basis, once he’d been elevated to blowing his countrymen’s minds after unrecognised years on the chitlin’ circuit, Jimi Hendrix’s If 6 Was 9 would have found its way into the average garage band’s setlist assuming the guitarist could get his fingers around Jimi’s licks, and if you were looking towards the look ma, aren’t I a clever boy? factor as far as classic 1960s psychedelic-era songs that needed to be replicated by a studio whiz kid are concerned Good Vibrations and Strawberry Fields Forever would be pretty close to no-brainers. 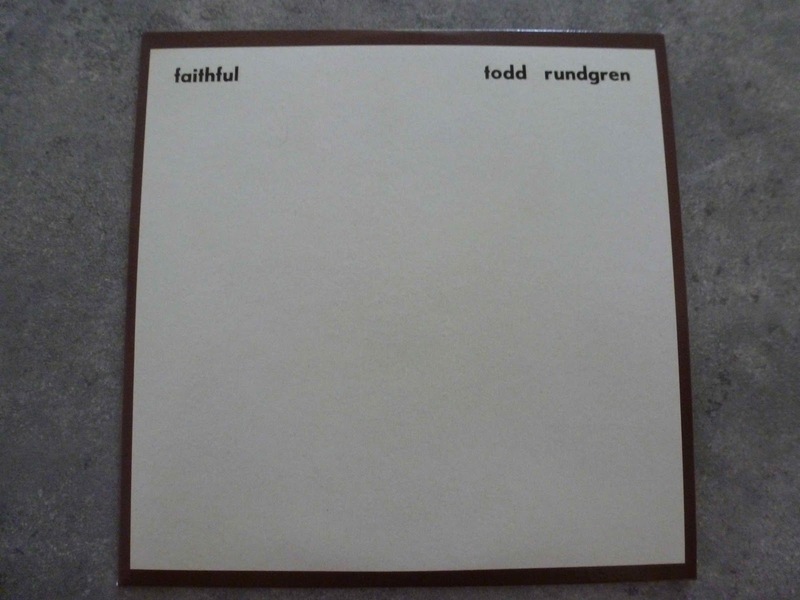 According to Rundgren the motivation behind all this was to treat the material as if it was classical music, with the pieces being performed without much departure from the magnificent original, and that’s pretty much what Rundgren achieves here. Close enough to be impressive, just different enough to have you recognize that it isn’t The Yardbirds, Beach Boys, Jimi, Bob or the Fab Four. Proceeding from there to the original material, there’s a clavinet at the forefront of the hard-edged, heavy-rocking Black and White with flashy guitar grooves combining with layered harmonies to deliver a punchy slab of power pop, and Love of the Common Man matches a straightforward chorus with an intricate vocal arrangement to produce something that’s sunny and very close to lighter than air, infectious stuff that’s quality pop. The sunny pop is back on Cliché, which works a bit better than the previous track but doesn’t quite get back up to Common Man territory, with a strong melody, the trademark intricate harmonies and a sweetish, if clichéd ending. The album’s showpiece, however, comes in the seven and a half minute analysis of the meaning of The Verb "To Love", a lush, slow-building Philadelphia soul ballad that teeters on the edge of becoming overblown and probably needs something like the guitar based rampant pro-vegetarian propaganda of Boogies (Hamburger Hell) to round things off before the album ends. Recorded with a four-piece Utopia (in this version, Roger Powell, keyboards; John Siegler, bass; Willie Wilcox, drums), Faithful comes across as mildly schizophrenic, impressive enough to remind the listener of Rundgren’s ability to write, arrange and record quality straight-up pop songs as well as the major artistic statements he seemed to be heading towards in the wake of Something/Anything.